It just couldn’t start any better than that for Dominik Paris, the winner on the Olympic in Lake Louise. 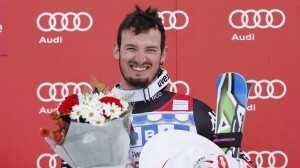 This is his third victory after Bormio and Kitzbuehel and the fourth overall podium (he was second place in Chamonix). The result is that at the age of 24 he is the fourth most successful Italian downhill racer ever. Last weekend brought a victory for Aksel Lund Svindal too: he won the super-G in the Canadian resort, after a fourth place in the downhill race dominated by the Italian fastest racer. What’s next is a stars and stripes event, with the race in Beaver Creek and then it’s Italy time on 21 December in Val Gardena and on December 29 on the legendary Stelvio slope in Bormio.